Comments Off on The Magnificent Kotobuki and its High-Flying Director Have Arrived! Hello again, and welcome back to Why It Works! The season is roughly a third of the way through at this point, but I hope you’re all still in the market for some new shows. Though it took its time in getting here, The Magnificent Kotobuki has finally arrived on Crunchyroll, and that show is appointment television. While I’m certainly loving shows like Mob Psycho 100 II and The Promised Neverland, I’m not sure anything else I’m watching is as consistently fun as Kotobuki, as dedicated to and skilled at evoking a sense of breezy, thrilling escapism. Featuring a crack team of pilots taking odd jobs in a vaguely western-themed world, every episode so far has been stuffed with thrilling dogfights and hilarious conversations and all manner of silly entertainment. Of course, Kotobuki’s strengths won’t be much of a surprise if you’re familiar with its director: the consistently dazzling showman, Tsutomu Mizushima. Tsutomu Mizushima isn’t one of those directors whose works are all defined by a clear visual signature, like Masaaki Yuasa or Akiyuki Shinbo. His works actually tend to be pretty visually conservative, sticking to conventional character designs, punchy but straightforward layouts, and a light sprinkling of perspective shots. Where Mizushima’s stories shine is in their fundamental dramatic structure, he has a brilliant understanding of pacing and visual comedy, often contributes to the writing of his anime-original productions, and has collaborated closely for years with trusted writers like Michiko Yokote. To put it simply, Mizushima seems to understand entertainment and fun on an almost elemental level, and has been very generously sharing that gift with the world. Mizushima’s early career was heavy on comedies, with shows like Squid Girl and Joshiraku honing the sense of comedic timing and general irreverence he’d subsequently bring to all of his shows. He would hit it big with GIRLS und PANZER, an anime-original mix of action and slice of life goofiness that essentially served as a tank-centric riff on the classic sports drama. Instead of treating tanks as the deadly weapons of war they are, GIRLS und PANZER imagines tank battles as a beloved high school sport, complete with character arcs like “I need to convince my parents that aiming tank shells is as refined and ladylike as flower arrangement.” GIRLS und PANZER married a gleeful sense of absurdity to genuinely thrilling tactical battles, laying the groundwork for Mizushima’s many future successes. Successive Mizushima productions have all tended to maintain that balance of tongue-in-cheek comedy and fundamentally effective drama, presenting stories that are peppered with wonderfully silly details, but still gripping in spite of themselves. 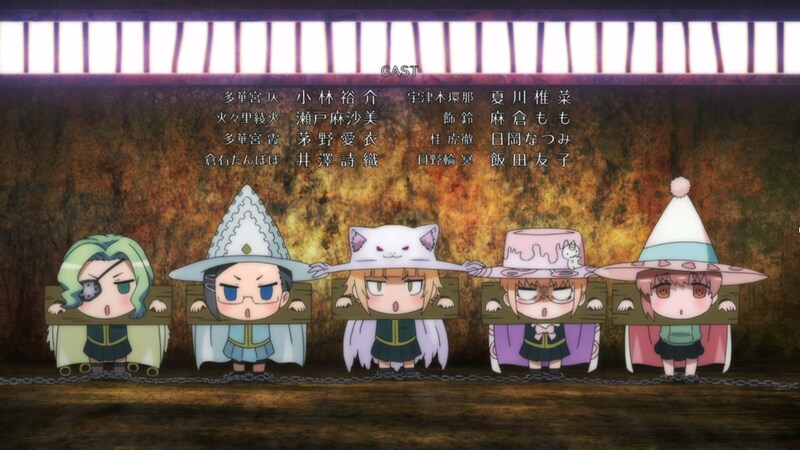 For an adaptation like Witch Craft Works, magical battles are balanced with charmingly incompetent opponents, who sing merrily through the show’s morbid yet weirdly endearing ending. 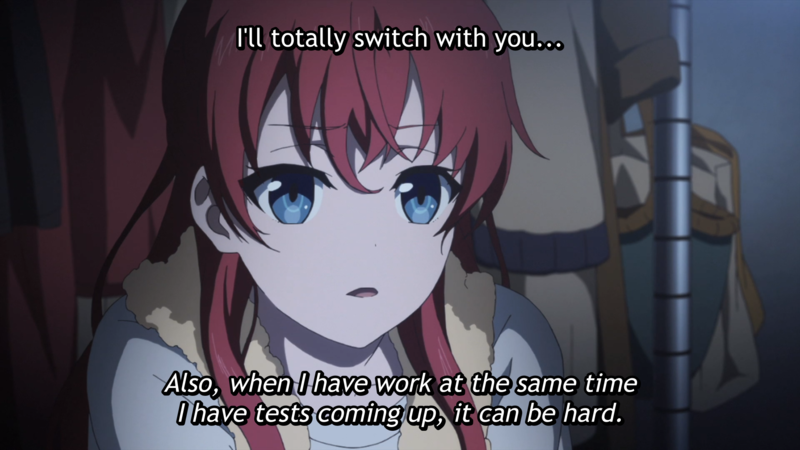 Shirobako’s beleaguered young adult heroine takes solace in her stuffed animals plotting to kill useless coworkers, while ostensible horror story The Lost Village is peppered with characters like “Lovepon,” who seem weirdly fixated on demanding human executions. It was no surprise to me that Mizushima was chosen to adapt the grossly hilarious Prison School, whose mix of absurdly self-serious tactical drama and inherent silliness always seemed right up his alley. 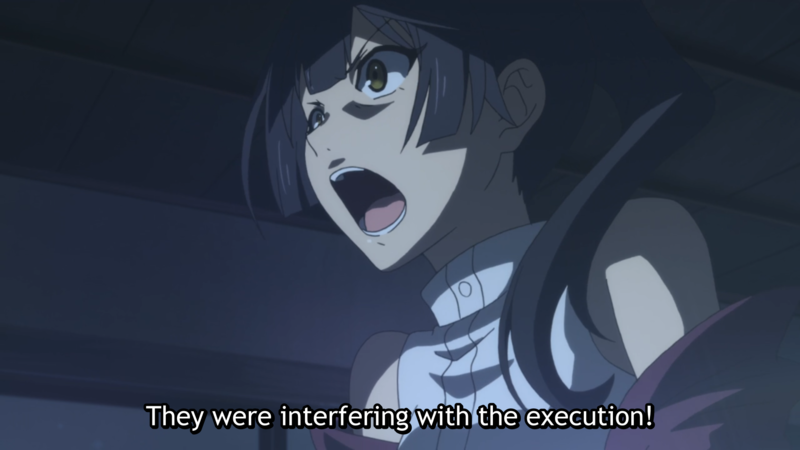 The comedy inherent to so much of Mizushima’s work speaks to his joyous approach to storytelling more generally. His works tend to be pretty light on character psychology or thematic argumentation, because his approach to art is less “I have a point I have to make” and more “aren’t exciting, well-crafted stories so darn fun?” Mizushima shows thus draw heavily on adventure serials and genre pastiche; instead of finding influence in light novels and manga, Mizushima more often draws on a well of classic films like westerns and samurai drama, which he happily repurposes for his much sillier stories. And the end result is stories like Kotobuki’s “what if Seven Samurai was about fighter pilots defending a town from a deranged art collector,” or the GIRLS und PANZER film following a tragic, heartfelt character “death” with a sequence of tanks chasing each other along a rollercoaster. This is not to say Mizushima works are all inherently superficial, of course. 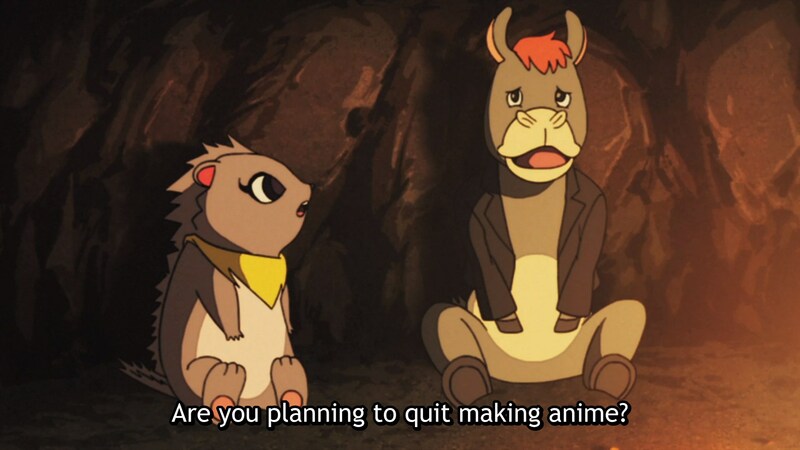 I’d count Shirobako among the most insightful and moving anime of the last decade, with its grounded focus on an anime production studio offering thoughtful reflections on the trials and compromises of adulthood. I don’t know many anime that feature scenes of unemployed characters glumly drinking while watching their more successful rivals on variety shows, or reflecting on how their project’s success won’t necessarily mean they get to keep their dream job. Mizushima understands that life can be a grind, and his response to the human condition is to offer thrilling, witty, and profoundly warm adventures for all of us to enjoy. Joyous entertainment is a rich art in its own right, and I’m happy to enjoy Mizushima’s tremendous talent once more. I hope you all check out The Magnificent Kotobuki, and let me know your own favorite Mizushima shows in the comments!